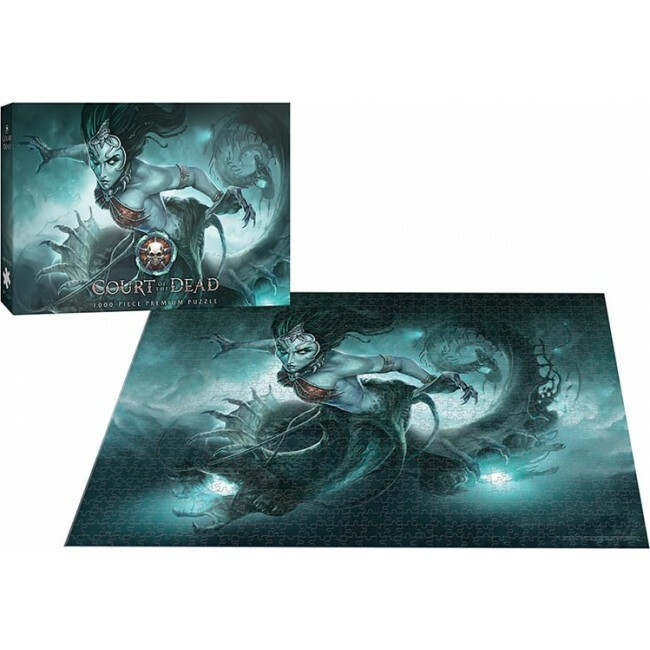 1000 piece collector's puzzle. 19" x 27" Finished Size. 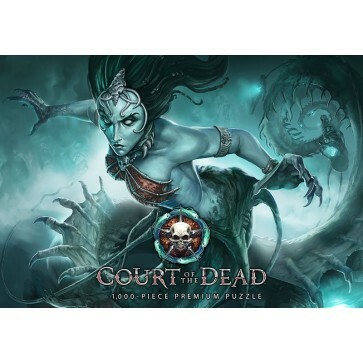 Help Death's Siren, Gallevarbe, hunt lost and wayward souls among The Veils between the realms as you assemble this 1000 piece collector's puzzle. 19" x 27" Finished Size.